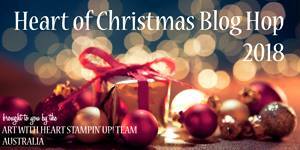 Wow only 117 Days until Christmas as of the 29th August 2018 and here we are at week 3 of the Heart of Christmas Blog-Hop 2018. My card for this week is not a new concept by I like it and I think I will be making a few of these for the Girls at work for Christmas. 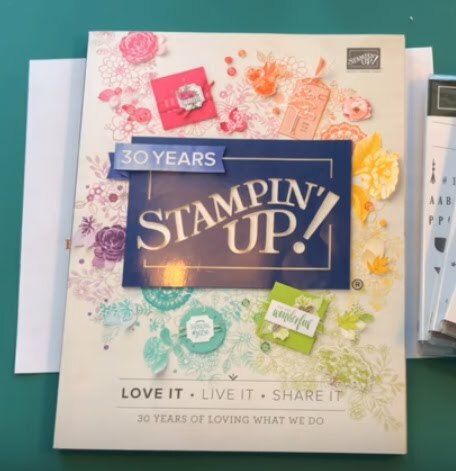 It is called at "Box in a Card" and I think it is rather sweet. I have used the new "Dashing Along" D.S.P. as well as the "Merry Christmas to All" Bundle that goes live in the New Holiday Catalogue on September 5th 2018 as well as an old favourite Pretty Pines Thinlits (which is still in the Annual Catalogue). I added an insert to the card in Whisper White and the main card is in Cherry Cobbler. I cut the pine cones using Crumb Cake and Early Espresso, and the leave from Garden Green. The Christmas was cut from Gold Glimmer paper. Dashing Along Designer Series Paper is exclusive to the host promotion and will not be available after 30 September. In order to qualify, the event merchandise total must reach $400 AUD/$450 NZD (before shipping and handling). 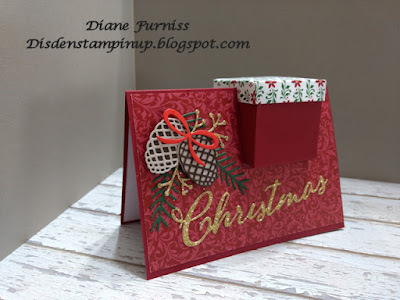 To see more of this week Christmas blog head over to Claire's Blog to have a look. That's a snazzy fold! Love it. What a great idea. 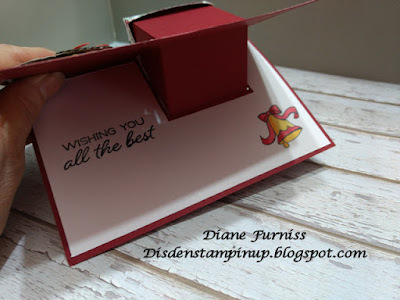 Diane, this box in a card is amazing...what a great idea to combine the gift and the card, I love it! Very cool card Diane, love it! Thanks for participating in week 3 of Heart of Christmas. 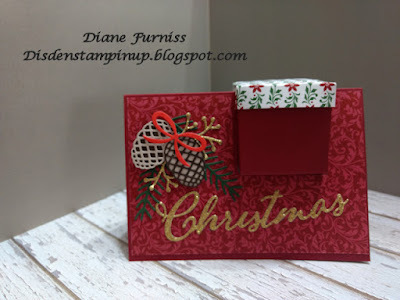 That DSP looks great with this fancy fold card, Diane, great choice. 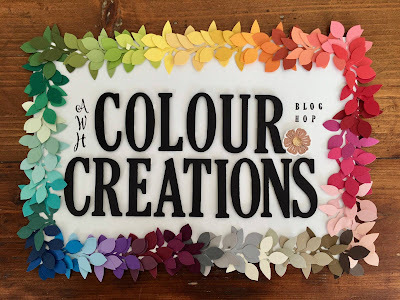 These cards often come up on Pinterest and YouTube Diane and I've thought, I must have a go at making one of these. Yours is just so lovely and rich in colour. I wonder what little treasures might be hiding inside the box! Fabulous card, Diane. That DSP looks so rich.